This rousing octavo is a perfect selection for both Easter and Christ the King Sundays! 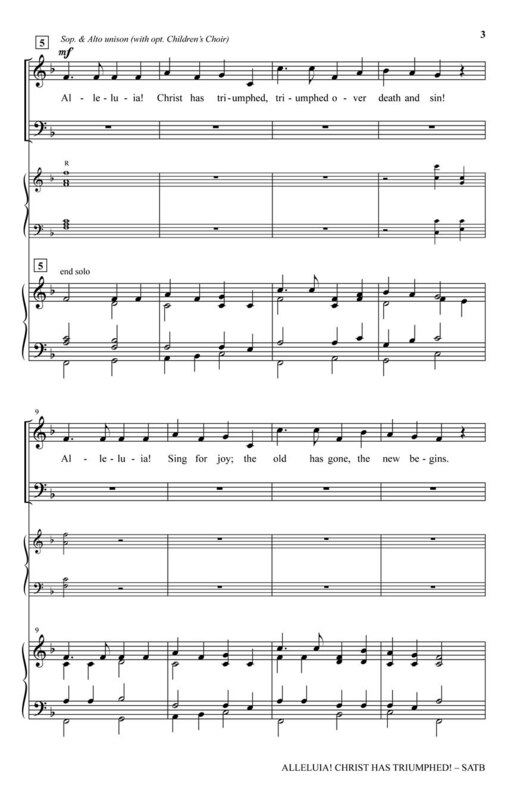 Arranged for a variety of vocal and instrumental combinations; the music leaps off the page in joyous celebration of Christ's triumph over death and sin. The inclusion of the well-known hymntune CORONATION is an inspired choice! 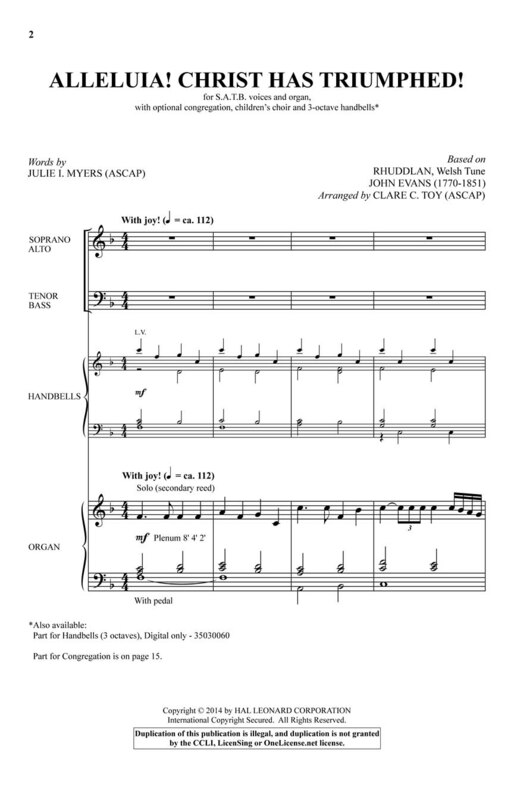 Handbell Part (3 octaves) available as a digital download. Title: Alleluia! Christ Has Triumphed!